Why choose Aligned Healthcare? 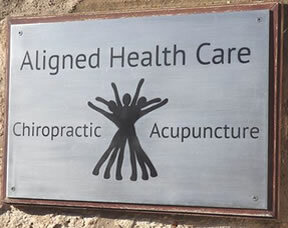 Aligned Healthcare Chiropractic Clinic Why choose Aligned Healthcare? There are many reasons why you should choose Aligned Healthcare. Conveniently located with easy parking our clinic is a centre of excellence for back and joint pain. Consistently highly rated by our clients we are committed to giving the very best treatment to every single patient. Our patients consistently say they have said that they have received excellent or very good patient care. The clinic is a centre of excellence for back & joint pain treatment. Our 24 hr out-of-hours helpline on 01292 737390 will give you reassurance and advice when you most need it. Call us before 10am and we can usually give you a same day emergency appointment. Our registered practitioners are the best qualified clinicians in the field of back & joint pain; we are affiliated with relevant professional associations including the GCC, Royal College of Chiropractors and the BMAS. Our central location is convenient & easy to find, just off the Wellington Square in Ayr, with easy parking & bright attractive clinic environments. We are registered with all the major private health insurers including PPP/AXA & Simply Health. The clinic is the only “joined up” clinic in the local area offering evidence based chiropractic, physical therapy, acupuncture, massage therapy & rehabilitation. We are committed to giving our best to every single patient, using whatever methods necessary to get you on the road to long-term recovery at a cost you can afford. Our clinicians work closely with other health professionals, your GP or consultant & will liaise with your workplace too if necessary.